I have sent confusion and frustration through the ranks of my students. I have upended what they know about note-taking and send them scurrying to the hills. Or, more realistically, I have made many of them think that I don't know how to teach. What did I do? How do I strike this blow for student confidence and spark massive complaints? I gave them guided notes that required them to do more than copy from a Powerpoint. I provide guided note packets for my students to help them organize their learning. I don't grade these packets because I don't want them to feel as though my way is the only way. Up to this point, the packets have been laid out as an outline with section headers that match the Powerpoint slides. This was primarily because I've been using the notes from the last teacher who taught the course. For this chapter, I modified the slides and wrote my own guided note packet. This means that the sections are more general with headings being questions rather than topics. In this chapter, I'm asking students to synthesize the information, analyze what they feel is important and ask extension questions of their own instead of simply copying words that they will never look at again. I watched as a large number of students frantically flipped pages in their books while trying to match notes to slides. Several gave up and tuned out. But many others gave up and tuned in. They began asking insightful questions and engaging in the topic. We talked about exoplanets, what we look for and travel possibilities. We began a discussion of detection methods and the difficulties therein. The majority of students ignored me, but those who didn't do so were fully engaged. 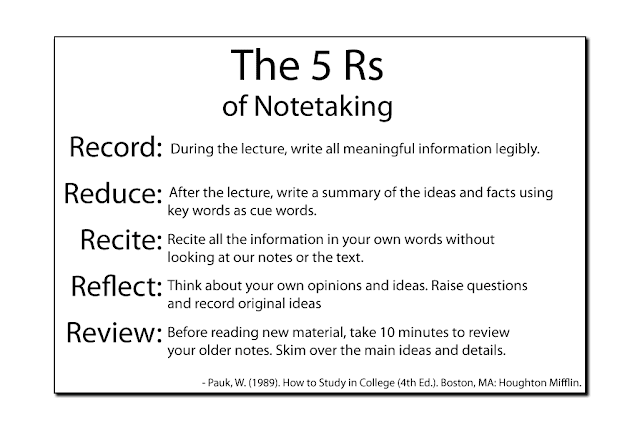 I was going to talk in this post about how schools train (or not train) students to take proper notes, but as someone who has never taken effective notes, I'm not sure what insights I have to offer. What I do know is that when note-taking is something other than "copy what's on the board" most of the students have no idea what to do. They (I) often don't get past the first of these.